Built with BPA Free materials, the Aqua Kent Smart RO + UV Hot and Cold Water Dispenser comes with a Built In Water Purifier functions. 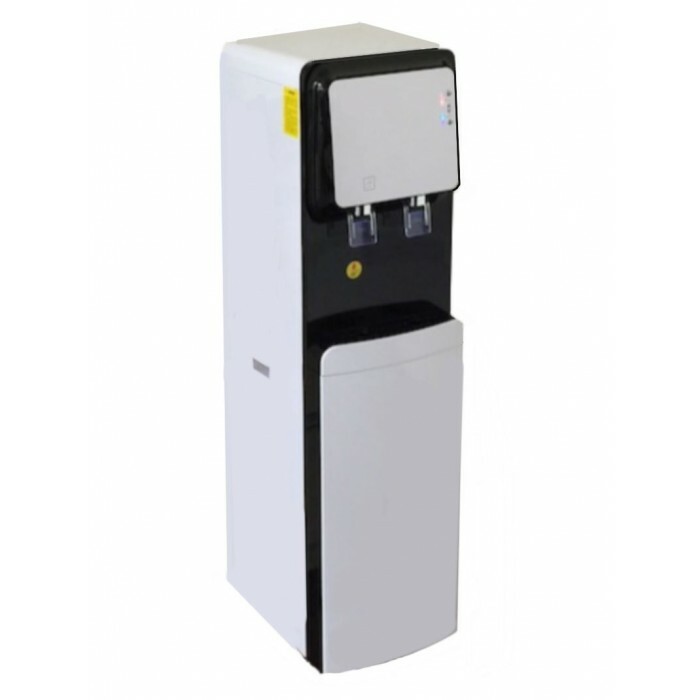 Operating on European Technology, the hot and cold water dispenser enables you to drink purified, filtered water at the comfort of your own homes, schools and offices. Aqua Kent Smart RO Hot And Cold Water Dispenser comes with a direct pipe in system with an inbuilt RO water purifier. Unlike conventional office water dispensers, Aqua Kent Smart RO Hot And Cold Water Dispenser makes water better than bottled quality water and saves the hassle of replacing expensive and heavy 20 litreswater bottles, which may be tampered with as they are recycled many times from unknown water source in Malaysia. It is a floor standing type and is a multi-functional machine suitable for homes, offices, showrooms, institutions, hotels, etc. 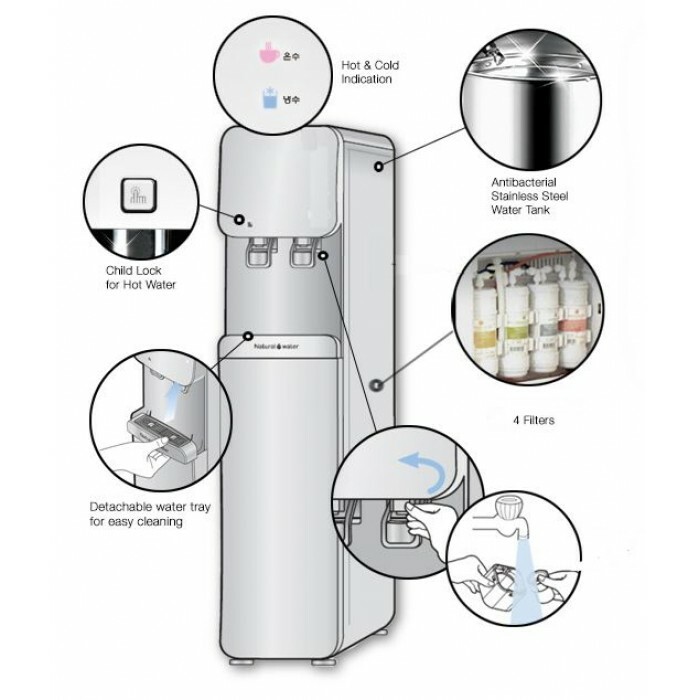 Has a high capacity compressor for fast cooling of purified water,supplying cold water to fulfil diversified drinks. Hot or cold, this compressor's got it all! Incorporating patented KENT's ROTM technology, the provision of double purification of RO + UV,removes even dissolved impurities such as chemicals and salts there by providing 100% safe water ideal for consumption. Aqua Kent Smart RO Hot And Cold Water Dispenser is able to purify and filter water from various sources; bore-wells, overhead storage tanks,water tankers and even taps. A computer controlled operation has a unique feature – Filter Change Alarm. Time-based Filter Change Alarm notifies the user to change filters.